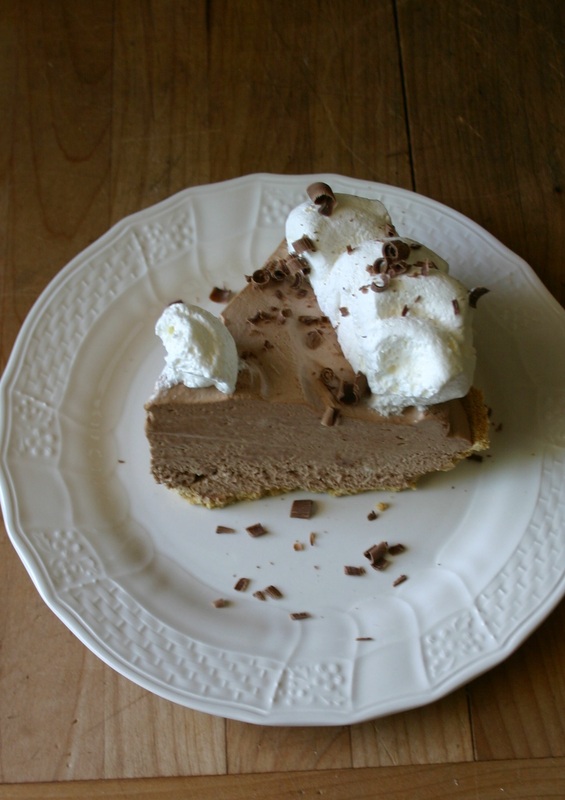 This recipe came from Tim’s mom a lot of years ago, i also make a more authentic French Silk Pie which i will share another day. This one is a shortcut on that classic. 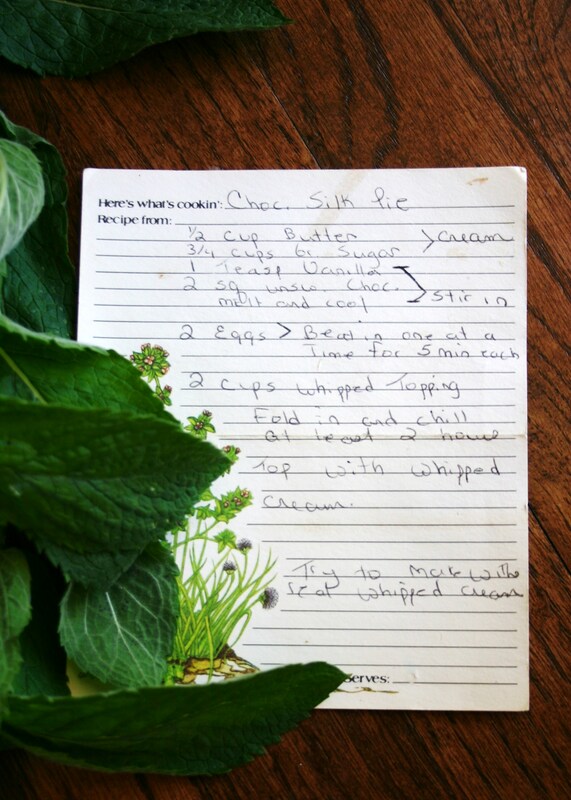 It is sooooo delicious and easy it is worth keeping in the file box. I promised you this recipe in this post. 1 pie crust, it is typical to use a baked pastry crust, my man likes graham cracker crust or oreo crust. 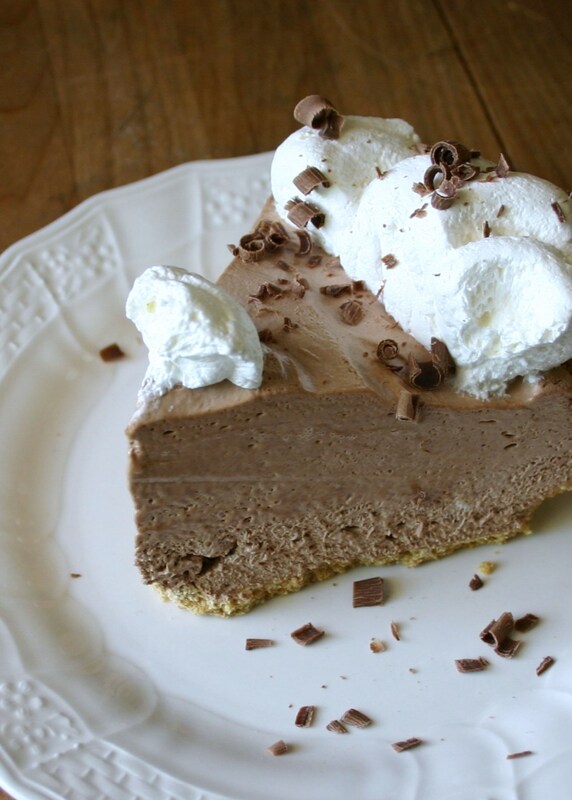 Melt the unsweetened chocolate if you are using squares. Allow to cool to room temperature. Stir chocolate into sugar butter mixture. Add one egg at a time to this mixture. Beat with electric or stand mixer for 5 minutes after each egg. This mixing time is important, don’t cheat! Fold in two cups of thawed frozen whipped topping. Pour/spread in 8 or 9 inch pie crust. Top with your favorite variety of whipped cream. i use real whipping cream with a bit of powder sugar and vanilla added. use a vegetable peeler to “peel” chocolate curls off the edge of a candy bar to garnish.